In modern linguistics binary distinctions are fundamental and many social and cultural phenomena are based on binary oppositions. Even many stereotypes of culture get formulated on the basis of binary oppositions: If you are not with me you are against me (Hawthorn 29) is a cultural imposition of a binary opposition upon variations of attitude. Looking down upon the natives of the Subcontinent as a people, devoid of civilization, colonial authors produced the stereotypes of attitude which remained unchanged, fortified by prejudices and cultural biases. Reading of colonial texts which are based on Indian setting, reveals these stereotypes. Rudyard Kiplings Kim and E. M. Forsters A Passage to India pictured colonial India from European perspective, degrading it to the level of a land of mystery, muddle, inactivity and lethargy. Both the texts depicted India as a binary opposition of Europe, formulated with cultural biases and prejudices emerging out of the boastfulness of the colonizers as the light givers of civilization to the rest of the globe. 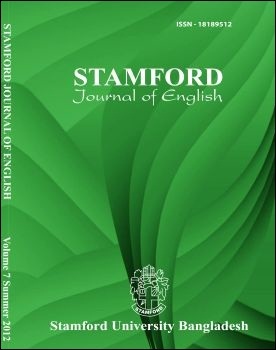 But it is true that every reading is a re-creation of the identity of the author and this axiom has inspired this paper to explore the basis of binary oppositions of the colonial attitude of Rudyard Kipling and E. M. Forster. This paper is also inspired by the perception that literary and cultural phenomena are based upon binary oppositions and in the days of postcolonial theory binary oppositions have become fundamental to many recent literary works. Keeping this in mind, this paper seeks to explore Kiplings Kim and E. M. Forsters A Passage to India in colonial perspective and present binary distinctions of their attitude towards India. Both the authors have chosen India as setting of their above mentioned novels and their observation of the East and the West produced binary distinctions between Europe and the Subcontinent. This paper has made a deconstructionist analysis of these stereotypes.